Originally released in Japan back in November 2017 for the PlayStation Vita, Our World is Ended is officially coming to the West. It will release on March 22, 2019 in Europe and March 26, 2019 in North America for the PlayStation 4 and Nintendo Switch. The PC version will arrive at a later date. This news was announced on PQube‘s official Twitter account. While answering fan questions within this thread, PQube took the time to remind fans that the game will be the same on all platforms. Unlike other titles we’ve seen, no changes will be made to the PS4 version. As mentioned in the above tweet, preorders and day one purchases will land you the Day One Edition of the game, which includes a physical copy, a 100-page artbook, and a keychain of the perverted programmer Owari Sekai’s mascot. 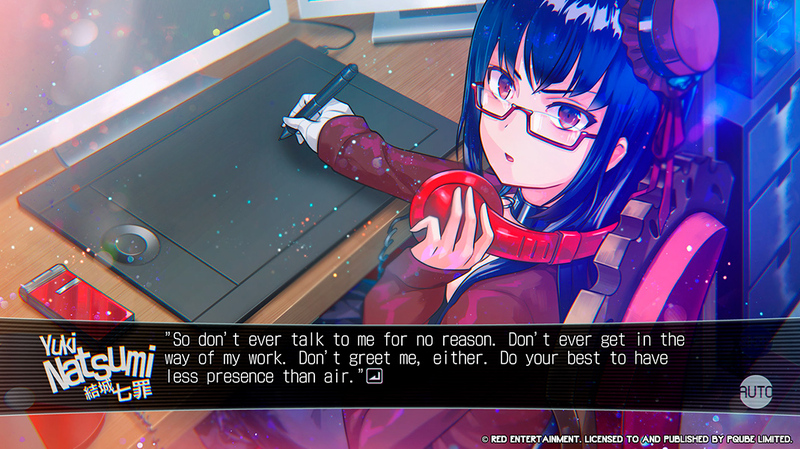 Will you be diving into this visual novel, so you can try to navigate a world where augmented reality has entered actual reality? Put your headsets aside and let us know in the comments below. Our World Is Ended will come out on March 22, 2019 in Europe and March 26, 2019 in North America for the PlayStation 4 and Nintendo Switch.